Following the merger of Metalogic Ltd with Jonas Metals USA (formerly Compusource) late last year, the union of these two companies is already reaping rewards. With two new systems about to go live in the USA and Canada in early 2019 the combination of knowledge from both sides of the Atlantic is proving a winning formula. The combined company supports over 500 sites and 6000 users around the world. Jonas Metals already a leading provider of software systems for metal service centers and processors in North America continues to support existing Compusource products. In addition iMetal provides the latest ERP software for its current users to upgrade to and allows to new sectors across the metal industry. 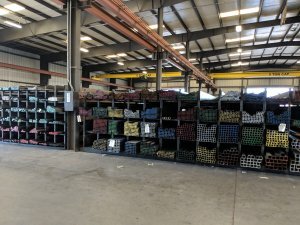 Metalogic Customers already benefit from an ERP system designed from the ground up to provide functionality and workflows for metal distribution companies. With iMetal, extensive and expensive custom development is a thing of the past as new features and functionality are provided on an ongoing basis as the market demands. Just this year extensive fabricated parts processing and pricing schedules have been added along with other new features. By integrating new technologies like mobile apps that can gather data on tablets and smartphones, communication and real time updates from the shop floor to the office can be achieved, without expensive wifi implementations saving time and money. It is with features like this and others that will maintain iMetal as the leading metals specific solution. Technology blended with industry knowledge of over 30 years,provides customers with a competitive edge in the rapidly changing world of metal distribution and processing. This combination of Metalogic local knowledge and the backing of one of the fastest growing software groups in the world provide a company that is big enough to deliver but local enough to care.